Letting your kids play outside, and on playground equipment, comes with a risk of injury. However, there are steps that can be taken to help prevent injury. According to the CPSC, 20% of playground-related injuries occur at home. Falls are the most common playground-related injury, accounting for over 75%. The CSPC shows in a 2002 survey that 75% of public playgrounds lacked the proper protective surfacing. And while that statistic is shown for public playgrounds, proper protective surfacing is equally important for residential play areas. One of the most common ways to prevent injuries is to use protective surfacing. 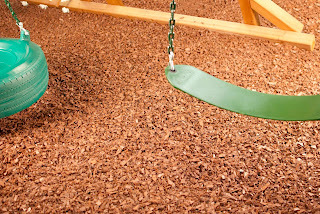 Rubber mulch has started replacing wood mulch in many play areas. It outlasts wood mulch and never decomposes or rots. This guarantees a lasting finished look to your play area that will keep your kids safe for years. Rubber mulch is also maintenance free. Just install it in your play area and you are finished! Another important way to prevent injuries is adult supervision. Kids are more likely to become reckless when no adult is around to ensure that they play safe. More and more laws are being passed when it comes to playground equipment and safety surfacing in order to keep your kids safe. 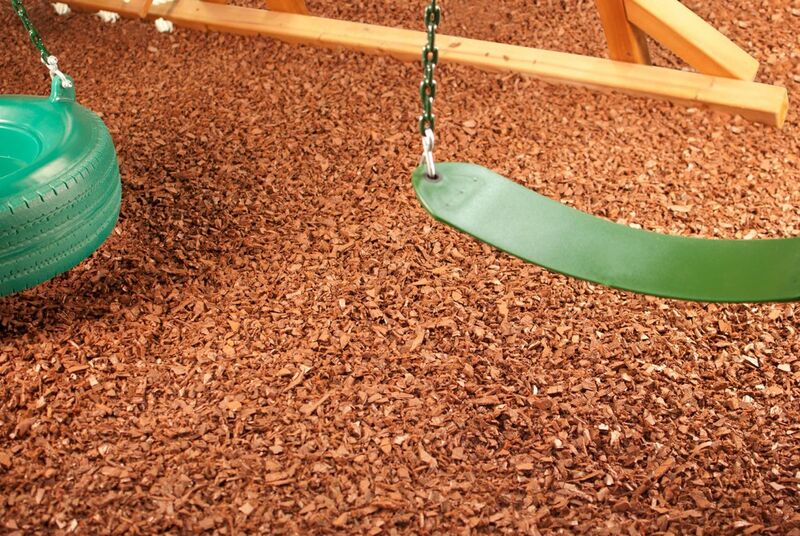 Stay ahead of the trend and look into rubber mulch for your play area.